Let’s start this off with an introduction to what exactly is “When Your Kokoro Goes Doki Doki: A Guide to Cliché Anime Romances by crispyn64”. You see, I consider myself a person that’s open to every type of anime. From dark psychological thrillers to lighthearted shoujo drama, I can find something to enjoy in most every kind of show. However, out of every genre, there’s a clear and uncontested winner for my utmost affinity: slice of life romantic comedies. And while it might be interesting to dig into my own psyche and figure out why the hell I’m like this, that’s not what this [post] is here for. 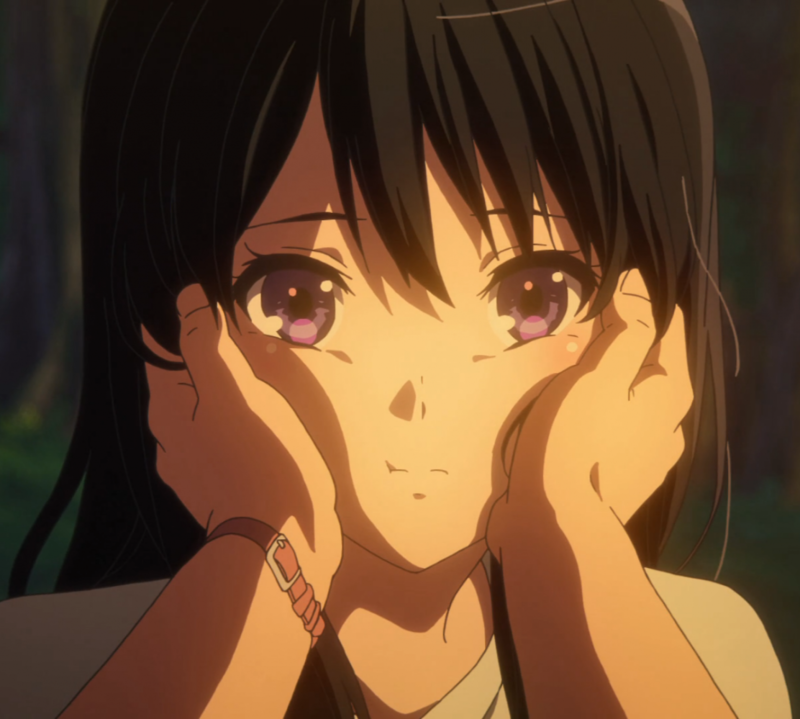 No, I’ve decided that I’d dedicate some of my time to write about the generic formulas of anime romance, drawing from my own experiences and research to define the genre’s conventions and tropes, and because I feel there’s so much to discuss here, I might just make an entire book out of it. So here’s my draft of the first chapter: Backseat Window Boys. Backseat window boys. Does just reading this already give you the exact idea of what I’m talking about? In shows with a high school setting, you might find that the main protagonist (not always a male, but ‘Backseat Window Protagonists’ didn’t have as nice of a ring to it) is sitting in the back and to the right (from the teacher’s perspective) of the class room, next to a brightly lit windowsill. As they prop their elbow up on their desk for which to rest their head on, they gaze out at the gentle blue sky, ignoring the instructor as they fall deeply into their mind. Perhaps there’s something appealing about a daydreamer, and so creators might as well give their main characters the optimal spot in class to do just that. Maybe it’s all just coincidental and I’m just making correlations out of nothing. Or could it be that there are a multitude of reasons for this choice pertaining to simple classroom positioning? Speaking from pure speculation, there can be many advantages to sitting next to a window besides just establishing a contemplative mood. For one thing, physically being positioned so that whatever is outside can be seen by the protagonist at their desk offers the possibility to illustrate what’s on their mind through eyeline matches. Staring down a love interest on the track and field below, or perhaps imagery of something inanimate that pairs nicely with an inner monologue to tell us more about their personality. Whatever the case may be, having a window opens up opportunities for continuity editing to take itself outside of the classroom, and so that would be a worthwhile reason for having a character that can utilize it. But that doesn’t explain why it would have to be in the back of the classroom. Luckily, I think I have an answer for that too. It’s less work to animate a classroom when there aren’t other students to the right or to the back of the main protagonist. Sure it’s a cheap solution, but it beats having the classmates frozen in the background (as if the audience wouldn’t notice because the focus should be on the main character). It certainly wouldn’t be the first time where budget dictated the complexity of a shot, and clever workarounds are never really a bad thing. Now there are some shows that take advantage of this trope to convey something completely different from a wondering mind. My Little Monster for example, offers a stark contrast between the bright, distracting window and the girl who pays no attention to it. This illustrates the point that Mizutani, despite being in the role of a main protagonist, can’t help but focus solely on her studies. Her positioning in the classroom adds to her defining characteristics that play an important role throughout the season. Of course, the empty desks around her also help illustrate her personality in the example shot above, but normally those seats would be filled. Her positioning is a more permanent portrayal of her priorities in education. Shows that want to branch off of the beaten path and prove to its audience that they’re “different” sometimes give subtle nods to the window seat without actively utilizing it, demonstrating its awareness of the genre and its intent to not retread the same territory. The Pet Girl of Sakurasou does this in its opening scene, as Sorata finds himself in this window seat, gazing intently to the outdoors while his inner monologue questions “why everyday was the same”. He turns to the front to find the backside of a giant cat in his face, thus waking him from his dream. At school, he doesn’t actually have the window spot, and so this might be taken as a subtle reminder of this story not being your typical high school drama. Whatever the case may be, Backseat Window Boys (and Girls) are a fairly often occurrence, and fans of high school slice of life are sure to come across it at least once. That being said, I haven’t undergone any statistical analyses to confirm just how frequent this trope really is as of yet, but I will when I find the time. Looking back at just a handful of anime I’ve watched, window seated characters didn’t seem as commonplace as I had originally thought them to be. That being said, I hadn’t really taken into account time frames of when these anime had aired. Once I take the time to look for window seat boys in a much larger and diverse survey size, I’ll come back to this chapter and record my findings, or possibly scrap the chapter if it turns out to be not as prevalent. Until then, thanks for reading!